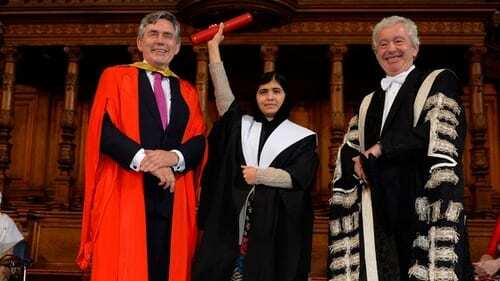 Malala Yousafzai was presented with an honorary masters degree and the Carnegie Award for Wellbeing at Edinburgh University on Saturday for her work promoting education and women’s rights. She was also reunited with two friends injured in the Taliban attack that almost claimed her life. This entry was posted on October 20th 2013 at 12:34pm/12:34 and is filed under Live News Column 1. You can follow any responses to this entry through the RSS 2.0 feed.